Ideal for most with plenty of page scans. Receive more envelopes and more page scans! Ideal for businesses and larger households. Traveling Mailbox proudly serves thousands of RVers, digital nomads, snowbirds, individuals, families, businesses, cruisers and others worldwide and helps many people manage their postal mail online while they travel. Not only do we scan your postal mail so you can view it online, but we provide other services as well. Scroll through the following tabs and visit our Features page to learn more about what we have to offer. Have Questions? Call us at 855-749-1737. A Traveling Mailbox is primarily used to view your postal mail securely online from anywhere in the world. Here is how it works: We scan each envelope that comes to your mailbox and post it to your online mailbox. You then login to your mailbox from anywhere and tell us what to do. We can open and scan the contents, forward the item anywhere in the world, shred it, or you can hold the envelope to initiate an action at a later time. Worried about going over your plan limits? Your unused Envelope and Page Scans rollover on our Extended, Small Business, and Enterprise Plans. Rollover scans add great flexibility and make your Traveling Mailbox more versatile than ever! We scan your mail 7 days a week! Requests are usually completed within a few hours or less! Learn More about our processing hours. A Traveling Mailbox is primarily used by customers to view their postal mail online. We scan everything from the outside envelope to the contents inside. However, often customers need to get their hands on a physical piece of mail. No problem! We can forward your mail to you anywhere in the world via the USPS and UPS. You can forward your mail as often as you like from within your online portal and even bundle your mail to save you on postage. We can bundle your mail to save you on postage. We also ship anywhere in the world! Mail A Letter – With a Traveling Mailbox, you can now Mail A Letter directly from your Online Mailbox from anywhere in the world! Forget about having stamps around, paper around, and trips to the post office. Let us do all of the work! Mail A Check – With a Traveling Mailbox, you can easily pay a bill by having us mail a check on your behalf to any vendor from wherever you are. We even keep a history of all checks you have paid out! Bulk Scanning – A ScanPAK is our Bulk Scanning Service which features a USPS Priority Flat Rate Envelope that we mail directly to you and can be used to place loose documents, receipts, invoices, and anything that can be scanned. Send & Receive Faxes – A Toll-Free Fax Number is available on our Extended, Small Business, and Enterprise Plans. 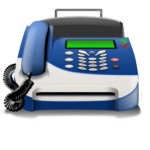 Send and Receive faxes in your Traveling Mailbox! Our Check Deposit Services are compatible with all banks! Your Traveling Mailbox can be located at one of our 25+ available addresses. You do not necessarily have to pick an address that is in your State where you live or one that is closest to you. Customers may have multiple addresses but additional fees and restrictions may apply. Please contact us at 855-749-1737 for more information. View all of our available addresses here. Traveling Mailbox only provides real physical street addresses. We do not provide PO Boxes. Traveling Mailbox provides support via Email, Phone, and Live Chat 7 days a week. View our hours Here. With a Traveling Mailbox, you can access your postal mail from anywhere in the world via a Desktop Computer, Laptop, Phones/Tablets powered by Android, iPhone’s, and iPad’s. replacing my PO Box with @TravMailbox and they emailed about my first piece of mail. glanced at the envelope PDF, clicked Open & Scan. yes. How long does it take to setup a Traveling Mailbox? Setting up a Traveling Mailbox only takes a few minutes. 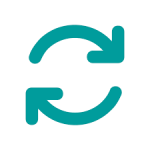 Simply signup by clicking Get Started under a plan above, checkout and review your new address in as little as 5-10 minutes during normal business hours! Do I need to live in a certain state to use your service? No! Anyone from any State or Country can signup and use a Traveling Mailbox from any of the addresses that we provide. What are additional mailbox recipients? Additional mailbox recipients are other family members, other individuals, or other businesses that wish to receive mail under their/that name. For example, if you signup for an account and you wish to share it with your sister, she will count as an additional recipient and would be required to complete a USPS Form 1583. How long will you hold my mail? All mail is stored for free at our facility for up to 60 days. After 60 days, we charge $1 per envelope per month to store beyond 60 days. Note: The digital scans of your envelopes remain online in your mailbox until you delete them. Are there any long terms contracts? No! Each plan is month to month and you are not required to signup for an extended period of time. You may cancel your account at any time with no penalties. Note: You can signup for one year and get two months free! Can I use this service for my business? Yes! A Traveling Mailbox can be used for a business and you can add your business to any of the plans above. Are envelopes counted towards my page scan allotment? No, we scan every received envelope and upload it to your online mailbox and it does not count against your monthly page scan allotment. How often will you forward my mail? How much does it cost to forward my mail to me? No matter where you are in the world, if you need to receive the physical copies of your mail, we can forward it to you anywhere! We simply charge Postage + $2 per shipment. For example, if you have ten envelopes you would like forwarded, simply charge Postage + $2. How much does it cost to scan my mail? Each plan includes a set amount of page scans per month. As long as you stay within those limits, there are no additional charges to have your mail scanned. Most customers fit comfortably on the Basic plan and there is a page scan counter in your online mailbox so you know where are at any given time during the month. Does junk mail count towards my incoming envelopes? Traveling Mailbox works hard to sift through mail that you don’t want. Anything that we determine to be junk will be shredded and will not count towards your monthly incoming allotment. Note: Any mail directly addressed to you will be uploaded (This type of mail is usually not junk). How much does it cost if I go over my plan limits? All Traveling Mailbox plans are very flexible and since we shred most of the junk, overages rarely occur. However, if you receive more envelopes than your plan allots for, it is $0.25 per additional envelope. If you exceed your monthly page scan allotment, it is $0.50 per additional page scan. You may upgrade your plan at any time or downgrade without any penalties. A ScanPAK is a prepaid envelope that we send directly to your doorstep for you to fill with receipts, documents, invoices, and basically anything paper. Once we receive the ScanPAK back, we will scan what is inside and upload it to your online mailbox so you can view it anywhere. Note: You do NOT need the ScanPAK service for us to scan your postal mail online. The ScanPAK service is simply an add on feature.